Posted On July 26, 2017 by Team iCynosure. Exams are among one of the most stressful events in the life of a student. This is especially stressful when competitive exams like NEET can be a life-changing event for them. Every student who aspires to become a doctor must write the NEET exam to secure a seat in one of the top medical colleges in India. However, the road to success, like most others is bumpy and can lead to stress, pressure, and anxiety. 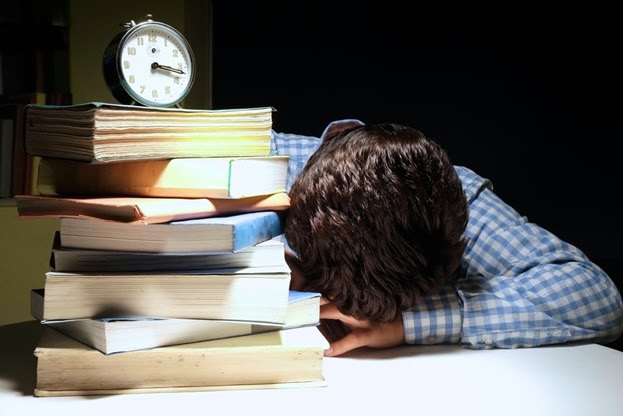 Some students thrive under pressure, and work harder, whereas for some students the stress and expectations can be overbearing. If your child is preparing for the NEET exam, it is natural for them to be stressed out owing to the vast syllabus and expectations. Most of the time is spent at school, tuitions and coaching classes. To top it further, most students are required to travel a lot to their coaching centers and tuitions. This can lead to frustration, tiredness, and stress. However, students can study from home through NEET video lectures on platforms like Aakash iTutor. Using NEET video lectures can save time, and allow students to work at their own pace. If you are worried about your child being stressed out due to examination pressure, offer them your support and reassurance. Encourage your child to open up and share what they are going through in their life. It is imperative to talk to your child about their daily lives, and not just studies. Ask them if they are worried about not living up to their expectations, or they are anxious about not completing the syllabus on time. If your child is bottling up their stress, it is best to help them let it out. The more it stays inside, the worse it is for their well-being. It is also likely that they are stressed out because of something outside studies. Stress is a frequent problem, and it might seem like your child is stuck between stress due to varying factors. However, there are solutions. In psychology, coping means to invest your conscious effort to solve personal and interpersonal problems. It is done to minimize or tolerate stress and mental conflict. Some coping mechanisms like breathing exercises, meditation, working out and more can be beneficial in curbing down stress. Exercising, working out, or playing a sport is especially beneficial for examination stress. These mechanisms help in distracting students by changing their focus. When students invest their time in a sport, it enables them to channel frustration and anger. If your child is feeling restless, yoga is extremely beneficial for their well-being. It has been stressed enough by doctors, that a balanced diet is vital for the physical and mental welfare of children. High-fat food, sugary drinks, and caffeine can make children irritable and moody. It is imperative to limit the intake of junk food, and instead switch it with healthy food habits. Proper and complete REM sleep cycles will make your child more active the next day. Sleep is as important as eating, and making sure your child is not overworking themselves is your job. Proper sleep improves memory and is known to sharpen attention levels. Consolidated sleep is essential for memory, and is effective in improving the concentration and performance. Time may be a luxury when your child is neck deep into studies and preparing for competitive exams. However, recreation can make a student productive, and it can breathe a new life into them. Taking breaks is essential when one is preparing for competitive studies. Encourage your child to take breaks and let them go outside in the open. A change of scenery can be advantageous and is highly recommended. Alternatively, you should also take your child out for dinner, or a movie occasionally. Exams can be a challenging part of a student’s life, and stress can be counterproductive to their preparation. The points mentioned above can help students in overcoming stress. However, parents must ensure that their kids are not over-stressed and that their expectations are not unreasonable.